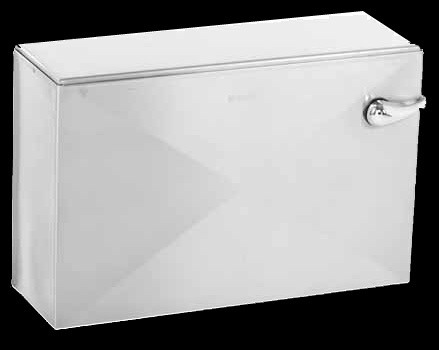 This 11 Liter stainless steel toilet cistern is 490 x 336 x 150 mm and made by Franke South Africa. The unit is manufactured from Grade 304 (18/10) Stainless Steel. 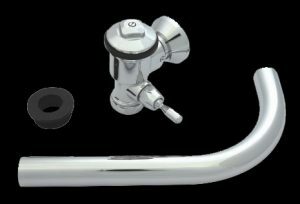 Low level toilet cistern to be supplied complete with PVC flush pipe, supa flush valve and ball valve OR High level toilet cistern supplied complete with supa flush valve with chain and ball valve…(please specify). Click here for technical diagram to open in separate window. 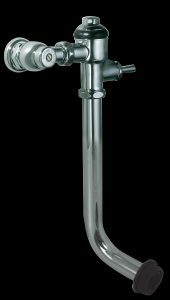 An optional Stainless Steel Flush Pipe is available in a 1700 mm length which is used with the High Level Cistern option (please specify). Low or high level cistern. Stainless steel toilet cistern are a very popular choice for pedestal pans. They are easy to maintain and water pressure is not a problem. The internal mechanism is also very easy to replace as it is non-proprietary. 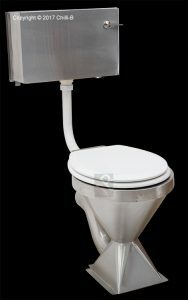 However, in many cases cisterns can be damaged by vandals and then a flush valve is required. 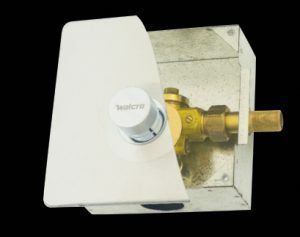 In many installations where high traffic is expected it is recommended to install a flush valve rather than a cistern.